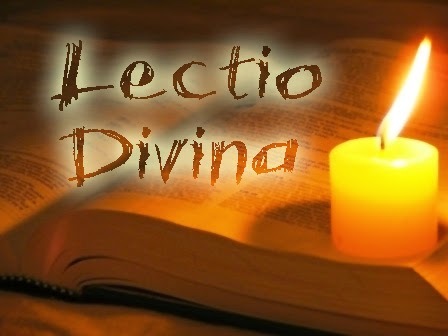 Registration is open NOW for the School of Lectio Divina: June 5-8, 2018. The registration form can be completed online. The registration fee can be sent through our PayPal app or via postal mail. Application for scholarship is possible by contacting Sr. Barbara through email lectio@stjosephmonastery.org. We are officially announcing a new retreat experience here at St. Joseph Monastery. Its title is “School of Lectio Divina” (called “school” because St. Benedict refers to the monastery as a school for the Lord’s service). Each school is limited to twelve participants. This commitment would be a most worthwhile experience if you have an interest in ongoing spiritual formation. Also, please help us spread the word to friends who you know have an active life of prayer and desire to continue learning on their journey of faith. The purpose of the (school) retreat days is to break open the content of Sr. Meg’s teaching in light of our personal experience and to invite the participants to an awareness of this teaching on prayer. The staff is made up of Diocesan priests, Benedictine Sisters and laity who are trained by Sr. Meg. There is no commitment to a continuing group experience as this teaching is to enrich your personal prayer practice. The School of Lectio and the Benedictine Oblates of St. Joseph Monastery are open to Christians of all denominations. The school includes: an introduction to the context of the teaching from the early Christian teachers; an invitation of prayer to the Holy Spirit; an understanding of the obstacles to prayer that arise from within and from outside of us; teachings on the revelatory texts that lead us in our desire to know God more intimately; introduction to a variety of prayer tools; the practice of discernment and the spiritual gifts that accompany this way of prayer. Part of the inspiration for the School of Lectio is the writings of Sister Meg Funk, pictured above. Sister Meg is has written several books about the Christian contemplative tradition, including: Thoughts Matter, Tools Matter, Humility Matters, Lectio Matters: Before the Burning Bush, and Discernment Matters. You are welcome to contact Sr. Barbara Austin, OSB for further information: lectio@stjosephmonastery.org.